"We could do millions of things with transgenics, but we have our hands tied," a story in The Scientist quoted Jorge Dubcovsky, professor in the Department of Plant Sciences at UC Davis. 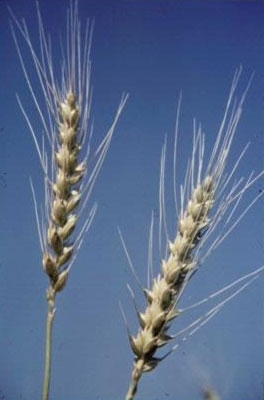 Dubcovsky commented in The Scientist article about his work in using biotechnology to instill resistance to a devastating plant disease, stripe rust, in wheat. Genetic engineering is a way to breed long-lasting stem rust–resistant wheat varieties and boost wheat yields around the world. But genetically modified foods are being kept off the market by public opposition and regulatory expenses. The Scientist article, written by Kerry Grens, said a few groups are forging ahead, including Dubcovsky and other researchers who are cloning stripe rust-resistance genes from wheat and other taxa and identify their functions. For more on Dubcovsky's work, see UC researchers improve wheat nutrition and yield.